When the last undeveloped land within Sterling Forest was slated for a golf course and 100 new homes, TPL led the effort to help save it from development. Sterling Forge is the one of many additions TPL has helped make to Sterling Forest State Park, the 18,000-acre crown jewel of the state park system. 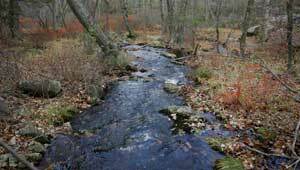 Preserving Sterling Forge as natural land helped to ensure clean drinking water for millions of people, protect critical wetlands and wildlife habitat, and enhance access for recreation.